Born in 1965, in Akbulut village of Palu/Elazığ to a Kurdish family, Gurbetelli Ersöz (nom-de-guerre Zeynep Agir) was the first woman in Turkey to become editor-in-chief of a media outlet. Upon her university degree in chemistry, she studied towards a master’s degree in “Environment and Energy”. As a chemist, two major turning points in her life were the catastrophic nuclear disaster of Chernobyl in 1986 and the chemical weapons massacre on the Kurds in Halabja in 1988, as part of Saddam Hussein’s genocidal al-Anfal campaign. She wrote: “Chemists, who should be the ones most concerned with Chernobyl and Halabja, really surprised me. I started asking myself all the time ‘What am I?’ and ‘What will I do?'”. She soon started her political activism among revolutionary groups until her arrest in 1990 due to her activities. In her two-year imprisonment, Ersöz suffered torture by the state authorities and was further politicized. In 1993, she started working at the newly re-founded pro-Kurdish, left-wing Özgür Gündem newspaper with the slogan “The realities will not remain in the dark!”. She wrote history by becoming the first female editor-in-chief in the country. The newspaper was constantly attacked for exposing Turkey’s war crimes in Kurdistan, as well as the state’s severe human rights abuses across the country. 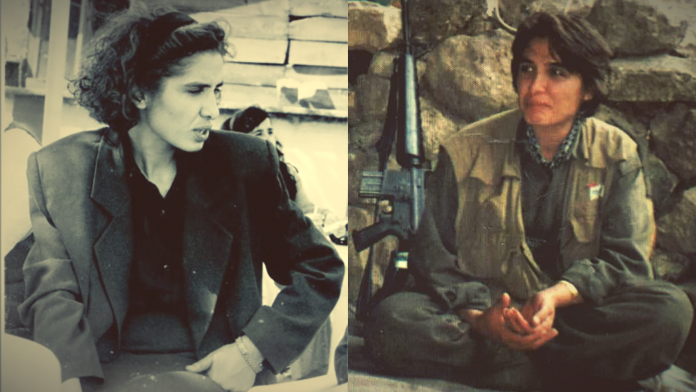 In 1995, Ersöz joined the guerrilla ranks of the Kurdistan Workers’ Party (PKK), where she still continued developing media, alongside active warfare. She was part of building the autonomous women’s structures in the PKK. 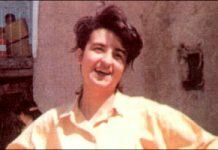 On October 1997, during the fratricidal wars in Kurdistan, at the age of 32, Gurbetelli Ersöz was killed by the Kurdistan Democratic Party (KDP) in the latter’s joint military operations with the Turkish army against the PKK. She is remembered by the Kurdish movement as a symbol for the importance of seeking the truth and the vital responsibilities of the media. Below are excerpts from her diary. Today, for the first time, I got up during education in front of everyone to make a political analysis in Kurdish. The structure’s reaction against the Turkish language, combined with the fact that I am a woman, in addition to society’s conservatism, made it difficult for me to participate in the education. Despite causing my thoughts to be confused and insecure, learning Kurdish is a crucial step for me to unify with our structure. As the war continues with all its speed, educations deepen to develop sociality, and with that, a struggle to politicize and militarize our ranks. For this purpose, a TV was brought to our camp and we have been watching it for the last two nights. On the first night, it was a curious feeling to watch the party leader’s analysis of the latest developments in a program called “panel”. The hunger strike in the prisons entered their 52nd day and enjoys popular support. Democratic-patriotic institutions came together to support the actions in prison […]. The prison resistances, as well as the prisoners are familiar to me; I see them before me. I remember them, my heart is with them, my yearning increases. I salute these friends in prison, who are filled with the desire to “be in the mountains, even if just for a day”. Once upon a time, I too was filled with this wish, yearning, purpose and joy, just as I feel the desire to do things justice now. I managed to roll a cigarette! Cigarettes are one of the things guerrillas constantly carry with them. Ever since I arrived in the free country [the guerrilla’s mountains], I had become a topic of conversation because I wasn’t able to learn how to handle tobacco. I actually didn’t want to learn, because I didn’t want to smoke too much. But then I realized I cannot always ask friends for cigarettes – so I decided to learn how to roll. I wish I had decided to quit smoking instead. Today was the first time I managed to roll a cigarette. Today on MED TV, I saw friends and patriotic people, who take part in democratic civil organizations in Istanbul […]. I saw our reporter for Özgür Gündem, Berîvan, with her photo camera in the hand of the only arm she has left. In my mind, I returned to those days. Days that were as cheerful as they were stressful. Days on which I was full of the desire to do and succeed, days on which I received many dark news. Our revolution, our life is always filled with new things. I watch myself on TV in the mountains. There I am, at a formal ceremony that we had organized in the winter for our central comrades, who were leaving for the Central Headquarters in Zap. I appear twice. Would comrades and friends recognize me? On this occasion, I also got to see the Zap valley, which I had missed very much. Comrade Cemal issued a statement regarding the last operation. I have thought about many things before, but I never would have imagined to have a feather pillow in the guerrilla, so random, absurd. Yet, right now I am laying on the floor with my chest leaning against it. It seems that a comrade named Mîlan, who had joined from Australia, made it one and a half or two years ago. On the wall hangs our small carpet-patterned bag. If there is no humour in life, it means there is monotony. Many such situations arise in our life here. After the 4th Conference, a meeting was held at the Central Headquarters. 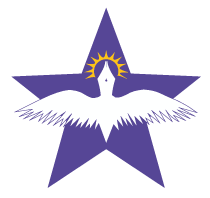 Şervîn, a member of the YAJK centre [translator’s note: formed in 1995, YAJK, Kurdistan Women’s Freedom Union, was the ground-breaking umbrella organization for women affiliated with the PKK at the time; it was a milestone for the autonomous military, social, and political organization of women in the movement] was standing up for her self-criticism session, when she was criticized by Dr. Süleyman for being ‘aristocratic’. In her usual mannerism, comrade Şervin responded by saying “Ez keçika gundi me!”, I am a village girl. Upon this incident, comrade Fuat reminded us of Şîvan Perwer’s famous song “Ez keçika gundî me”. “Somebody bring us a saz [popular string instrument]!”, he said. I understood why Aphrodite, who was seen by Zeus by the Tigris riverside, was named goddess of beauty in Greek mythology, when I learned that women are called “afret” in the Soranî dialect. Unfortunately, women here in the south today are in a state of being “avrat” [translator’s note: avrat is another word used for “woman”, but has sexist connotations, as it is associated with a femininity that is both, passive and domesticated, as well as subversive and threatening]. I want to write an article with this title for Welatê Roj, our newspaper that comes out every three days in the south in Soranî Kurdish. The headmaster Kaya, joined MED TV via telephone to state the news that the children at the Etruş/Şehit Jiyan camp [translator’s note: refugee camp in southern Kurdistan/Iraq, inhabited by Kurds fleeing the Turkish state’s military operations and village destructions; predecessor of Mêxmur refugee camp] had received their first certificates from school. I had told him to turn this into a news item. One sample hangs on the wall in front of me. It will be a historical document one day. They had printed a photo of the party leadership wearing a tie… I envy these kids. I didn’t join the general education today. I stayed at our place and finished writing my individual report to the party leadership. This is the first report that I have written in the past ten months since coming to the mountain. Around this time last year, I had written a report upon my ten-day stay at the Party Central School. And now I wrote another six-page report. As I was laying there in the manga [translator’s note: name of the guerrillas’ self-made accommodations], quietly writing my report, mice chase across the ground, as is their daily routine. Little grey mice, I don’t make a sound. They seem to have come to the smell of the food next to me – we had stuffed vine leaves today. But wait, what?! All three of them climb up and start running in one line! Suddenly, I think of dancing mice! Yes, mice and dance. At night, I tell comrade Erîhan, who breaks out laughing and says: “Alright, we found the ‘how’ of our national dance!” The cartoons “Mickey Mouse” and “Tom and Jerry” come to my mind. Our mouse friends transcended them, they are live movies. This is the story of comrade Şiyar, who arrived from the Martyr Aziz camp yesterday. Well, who isn’t in the party? In Xakurkê, comrade Abbas formed an internationalist team. 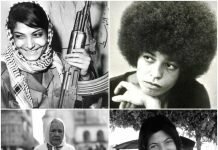 Apparently, there is a Moroccan mixed-race comrade among them. He is from Şırnak and was a mîlîs [translator’s note: civilian non-members, who provide logistical support for the guerrilla, mainly in the mountainous villages] for comrade Agît [translator’s note: nom-de-guerre of Mahsum Kormaz, who led the PKK’s first armed action] in 1984. He joined the party, is around 40 years old, but his spirit is young. In 1990s, we were both in the academy administration, we have many memories together. He always calls me Zozan. He sees my nom-de-guerre Zeynep as a villager’s name. He was to be in charge of organizing ammunition in the south, which is why he came to Botî. A beloved friend said: “I followed the places that you visited”. If only I had a commander like comrade Şiyar! 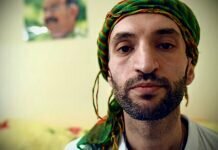 With comrade Mahmut, we remember comrade Şiyar (Kazım Kulu) from Dersîm. He was our coordinator in the academy’s administration in 1990, a commander through and through, with his stance, with everything about him. I am sad that my superficial self of the past didn’t take in so much more at the time. A commander I adored and who was lost too soon. Crossing into the south in 1992, he fell martyr in the region of Cizîrê. At the time, I was in prison and saw the dead bodies on TV. I still see them before me. I had jumped out of my skin. There were many memories; I cried about his death. I will remember you, commander Şiyar. Afarof Mahmut: Isn’t your other sibling in Amed? Me: [My brother] Dr. Agir? Dr. Agir fell martyr. – No, the younger one. – You are mistaken. That comrade did not join. – No, I heard that he joined, too. Don’t you have another brother? –Yes, I do. He was preparing for his university entrance exams at the time I left home. The last thing that he had said to me was “I will fill my sister’s place, I will become a doctor”. I will not call you Galip, but “Agir”. Welcome Agir, serçavan! We will see each other without a doubt. Protect yourself, grow, fight and let us meet. Comrade Rengîn joined the guerrilla at the age of 17 from the villages of Siirt, four years ago. In the prime of her youth, she stayed on Mount Cûdî [Judi], which is viewed by many as the most beautiful of our mountains and which some claim to have been the place where Noah’s Ark came to rest after the flood. Since she knew the entire region around Cûdî by heart, she served as a courier and lead missions… until one day, a damned mine blew away one of her feet. Bruised and crushed, she stayed with Mount Cûdî in spirit, roaming around it, remembering it. Like a doe, she sprinted from rock to rock, piercing the darkness with her doe eyes. Her shy and fragile looks have not yet fully matured. They were full of life. She goes through life by carrying Cûdî, its splendour, and all of the comrades, whose death she witnessed, in her heart. She never knew about something called women’s issue, if she ever experienced loved, she buried it inside of her. Through her beautiful voice and her songs, with her piercing eyes, she devoted her love to Cûdî. Guyî joined the movement in 1989, at a very young age. You can tell that the comrade is Guyî from the goitre and way of speaking typical to the large Guyî tribe. All of our Guyî comrades suffer from goitres due to the water in their region. In 1992, Guyî was wounded and left for Iran to get treatment. The platin wire in his head gets influenced by varying temperatures, but this does not obstruct him from participating in life. Some people in society have been corrupted to an incredible extent. I heard of a young man in the south, who killed his father, to sell the platin wire in his leg for money. Platin does not rust, it is a flexible matter that is especially used for orthopaedic purposes.